The three companies - Ola, Hyundai and Kia - will co-create solutions to operate and manage fleet vehicles. South Korean automobile major Hyundai Motor group on Tuesday said it is investing $300 million in ride hailing service provider Ola, identifying India as the centrepiece in its strategy to gain leadership in global mobility market. The investment will be jointly made by group firms -- Hyundai Motor Company and Kia Motors Corporation -- and under a tripartite agreement with Ola, the companies will jointly develop electric vehicles ecosystem and fleet services for global markets. Under the partnership, the three firms will also aim to develop electric vehicles (EVs) and charging infrastructure customised for Indian market, the companies said in joint statement. "Hyundai and Kia will invest a total of $300 million in Ola," it said. This will be the biggest combined investment as on date by the two automobile companies. Hyundai Motor Group expects to accelerate its transition from a car manufacturer into a smart mobility solutions provider, as the partnership initiatives will allow it to engage in all aspects across the entire mobility value chain including vehicle production, fleet operation and mobility services, it added. Already, Hyundai has invested in car-sharing startup Revv, which had last year raised Rs 100 crore in a new funding round led by the South Korean auto major. Revv plans to plans to increase its geographical footprint to 30 cities in India within a year from 11 cities. Starting from this month, Hyundai Motor India has launched a pilot project offering customers to experience its products through a subscription model in partnership with Revv. The initiative will cover six cities -- Delhi-NCR, Mumbai, Kolkata, Pune, Bengaluru and Hyderabad. As part of the investment in Ola, the group said the companies have agreed to co-create solutions to operate and manage fleet vehicles, marking the Hyundai's first foray into the industry, as they expand operations from automobile manufacturing and sales to total fleet solutions. 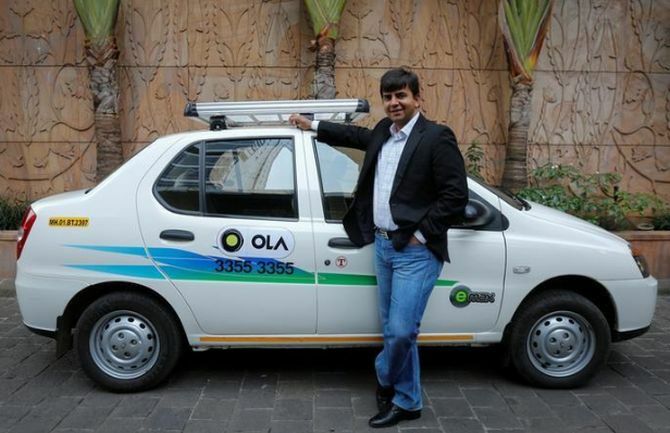 Ola Co-founder and CEO Bhavish Aggarwal said the partners will bring to market a new generation of mobility solutions, and constantly expand their range of offerings for consumers. "This partnership will also significantly benefit driver-partners on our platform, as we collaborate with Hyundai to build vehicles and solutions that enable sustainable earnings for millions of them, in the time to come," he added. Hyundai, Kia and Ola have also agreed to coordinate efforts to develop cars and specifications that reflect the needs of the ride hailing market (both users and drivers), the statement said. The partnership will also look at supporting micro-entrepreneurship opportunities by providing access to customised Hyundai and Kia vehicles as well as financing and insurance benefits for driver-partners. Under the agreement, the three companies will also extensively collaborate on developing unique fleet and mobility solutions, building India-specific electric vehicles and infrastructure, the statement said. Besides, it will also offer aspiring driver partners customised vehicles on the Ola platform, it added. The partnership will offer Ola drivers various financial services, including lease and instalment payments, while vehicle maintenance and repair services are expected to enhance customer satisfaction, it added. Will banks bail out debt-laden Jet Airways?